Unmanned systems in military applications will often play a role in determining the success or failure of combat missions and thus in determining who lives and dies in times of war. Designers of UMS must therefore consider ethical, as well as operational, requirements and limits when developing UMS. I group the ethical issues involved in UMS design under two broad headings, Building Safe Systems and Designing for the Law of Armed Conflict, and identify and discuss a number of issues under each of these headings. As well as identifying issues, I offer some analysis of their implications and how they might be addressed. Arkin, R. C. (2007). 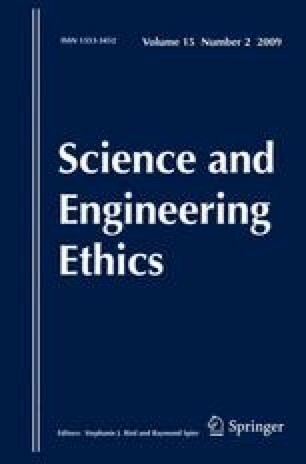 Governing lethal behaviour: Embedding ethics in a hybrid deliberative/reactive robot architecture. Technical Report GIT-GVU-07-11 for US Army. Mobile Robot Laboratory, College of Computing, Georgia Institute of Technology. Retrieved October 25, 2007, from http://www.cc.gatech.edu/ai/robot-lab/online-publications/formalizationv35.pdf. Barry, C. L., & Zimet, E. (2001). UCAVs—Technological, policy, and operational challenges. Defense Horizons (3). Retrieved November 19, 2008, from http://www.ndu.edu/inss/DefHor/DH3/HD_03.pdf. Foster, Lt Col. J. (2006, Spring). Ricochets and replies: First rule of modern warfare. Air and Space Power Journal. Retrieved November 19, 2008, from http://www.airpower.maxwell.af.mil/airchronicles/apj/apj06/spr06/ricspr06.html. Hambling, D. (2007, January 23). Military builds robotic insects. Wired Magazine. Retrieved from http://www.wired.com/science/discoveries/news/2007/01/72543. Hanley, C. J. (2007, July 16). Robot-aircraft attack squadron bound for Iraq. Aviation. Retrieved November 19, 2008, from http://new.aviation.com/ap_070716_reapergoestoiraq.html. Klein, J. J. (2003, July 22). The problematic Nexus: Where unmanned combat air vehicles and the law of armed conflict meet. Air and Space Power Journal Chronicles Online. Retrieved March 27, 2007, from http://www.airpower.maxwell.af.mil/airchronicles/cc/klein.html. Shachtman, N. (2005a). Attack of the drones. Wired Magazine, 13(6). Retrieved August 25, 2005 from http://www.wired.com/wired/archive//13.06/drones_pr.html. Shachtman, N. (2005b, May 27). Drone school, a ground’s-eye view. Wired Magazine. Retrieved September 17, 2007, from http://www.wired.com/science/discoveries/news/2005/05/67655.